Let’s begin with Piano. 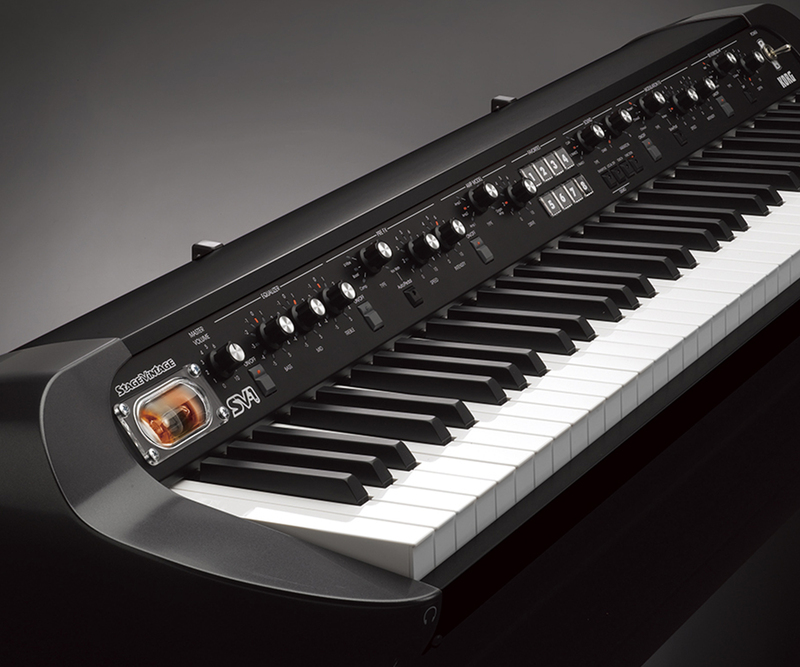 The SV-1BK contains not just one, but multiple piano sounds, including a Japanese Grand Piano, a German Grand Piano, an authentic upright, and more. Then there is the Vintage. The SV-1BK Stage Vintage Piano offers the most rewarding compendium of electro-mechanical, transistorized, tape-driven, analog, and early digital keyboards ever available in a single instrument. Crafted using Korg&apos;s RX (Real eXperience) Technology; each sound is a detailed and authentic re-creation, accurately capturing the full range of expression and dynamics of the original. But for Korg, even that is not enough. The SV-1BK also provides access to the effect pedals, amplifiers, speaker cabinets and studio techniques that gave these sounds their original shine. Together, they provide fingertip access to the sounds that defined generations of popular keyboard playing. Designed with performance in mind, the SV-1BK is a pleasure to play. Once you try it, you&apos;ll understand what all the excitement is about. 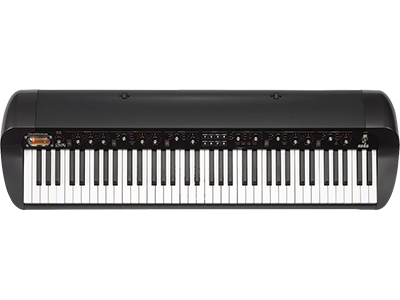 The RH3 Real Weighted Hammer Action is the finest keybed Korg offers, with a solid, responsive feel that inspires confidence. Forget menus. Never mind banks and programs. Stop staring at displays. With the SV-1BK, the entire front panel is always live, using clearly labeled knobs to dial up just the sound you are looking for. Saving your eight Favorite settings for quick recall is as easy as saving a station on your car radio. *A limited number of SV-1 88-MR or SV-1 73-MR units will be sold.